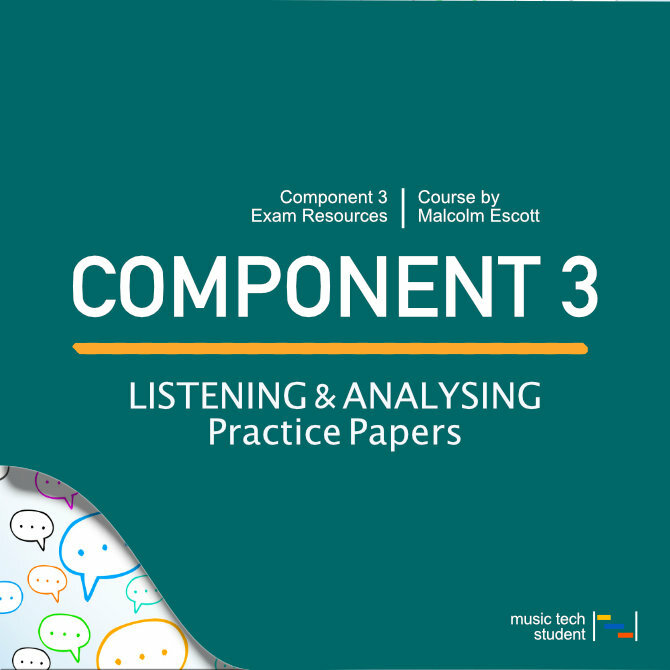 These Exam practice papers are suitable for AS and A Level Music Technology students looking to get some extra help with preparing for their Component 3: Listening and Analysing exam. Each paper has 6 questions for A Level and 5 questions for AS Music Technology. A separate answer sheet for each paper has been provided for you to check your answers and overall mark. The mark scheme for Questions 5 and 6 are separated into two sections AO3 and AO4, only award marks in accordance with these guide lines. Remember: Start your revision preparations early and be consistent, little and often is the key to getting organised for your exam. Please report all issues to the comment section of these papers, all help is greatly appreciated.